Sounds too good to be true but it is an actual rule that’s actually out there. I just ran across it (again) in the Wall St. Journal, citing “new evidence.” Oh yay. I love new evidence. The article is here but if the link doesn’t work for you, the upshot is that eating protein (doesn’t have to be bacon) at breakfast reduces food cravings later on in the day. I don’t know why researchers (this time at the University of Missouri) did a new study, because people have been saying this for years. Now that carbs are out of style, you hear it with even greater regularity. “Whatever you do,” go the powers-that-be, “don’t eat cereal for breakfast. You’ll be starving by 10:30.” That’s the common wisdom. However, while common wisdom is often true this time it’s just not working for me, personally. I have a bowl of cereal for breakfast every single day, and am never starving at 10:30. It holds me till well past noon. Even one. Truly. Most importantly, it’s easy to prepare, easy to clean up after, and is good fiber too. What’s not to like? Sometimes I even try to talk my husband into having cereal for other meals of the day. Cereal for lunch! Cereal for supper! Cereal all day long! I may need to do my own study. 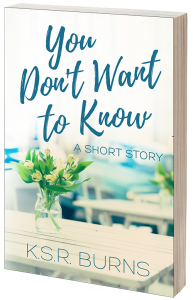 Sign up for my newsletter and get my short story “You Don’t Want to Know” for free!